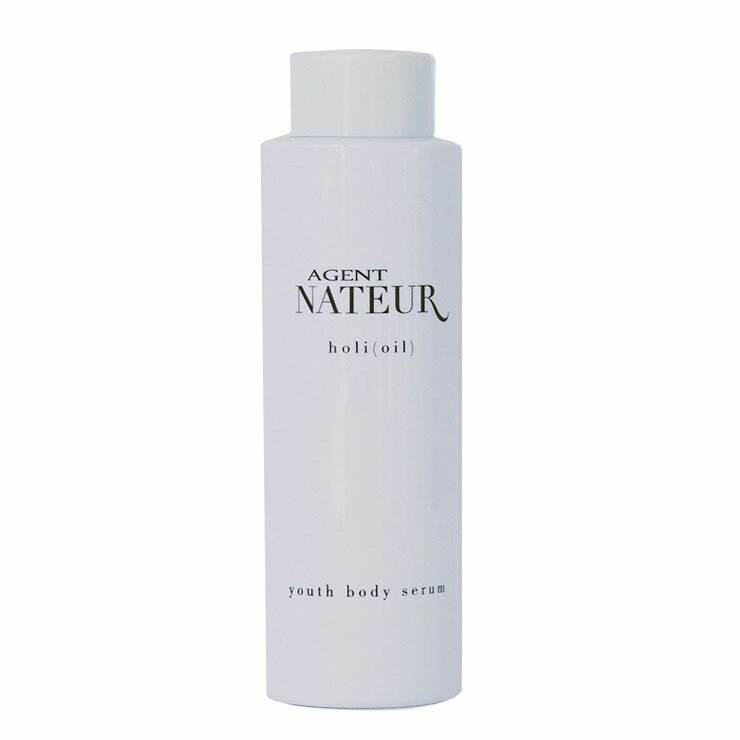 Agent Nateur HoliOil is designed to moisturize and make skin feel silky smooth. 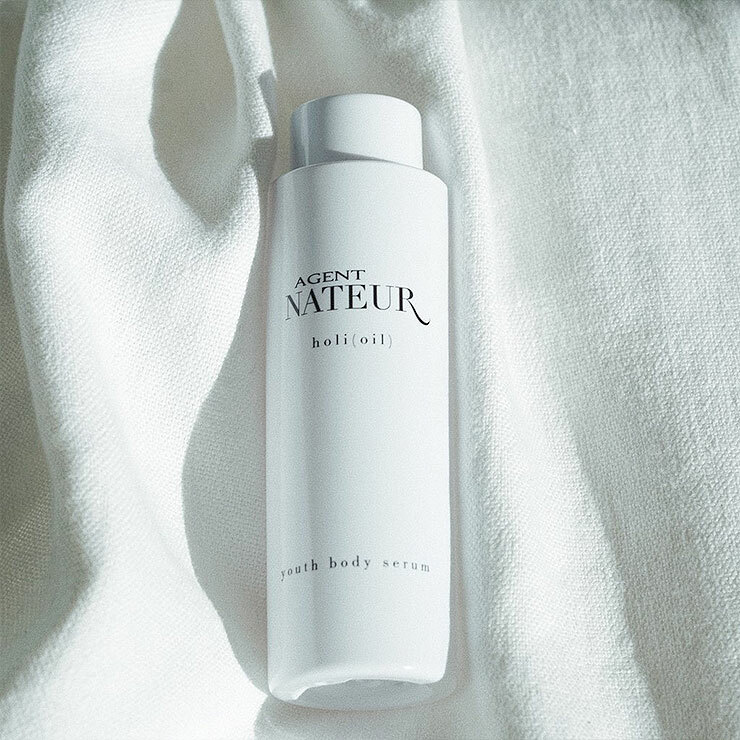 More than your standard body oil, this concentrated body serum is made with rosehip oil to brighten skin’s appearance, reducing the look of discoloration and imperfections. Helichrysum lends a feeling of calming support to tired or upset skin. Sandalwood promotes a firmer, more youthful look. 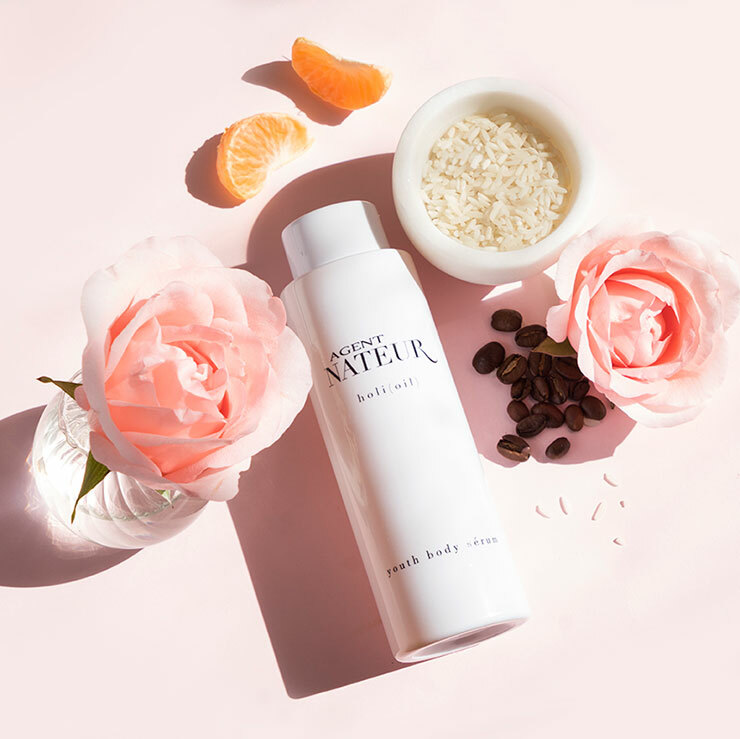 Caffeine is used to give skin a tightened and toned appearance, while sunflower, apricot, and argan oils make skin feel ultimately hydrated and soft. The warm rose scent is a sensory delight. Massage a small amount onto clean skin after bathing. 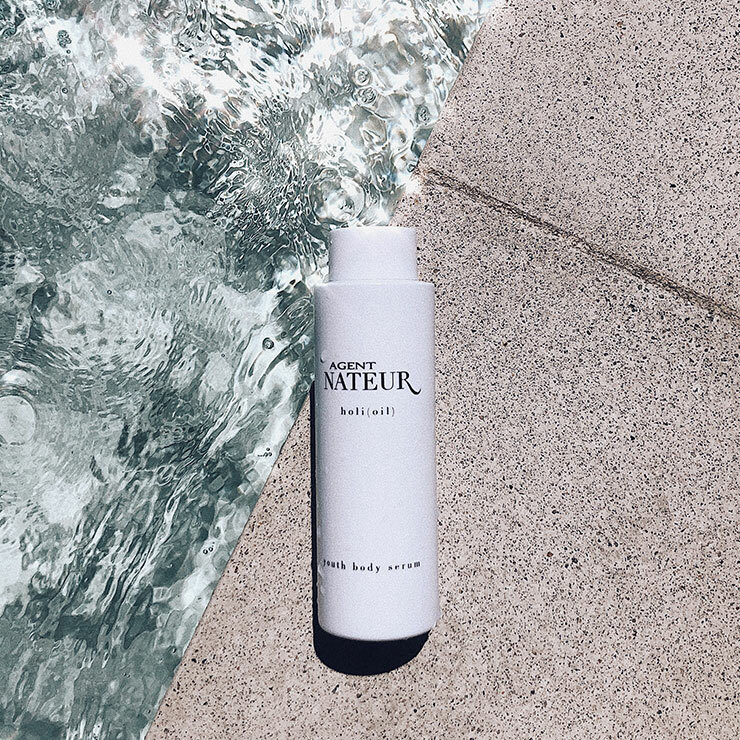 Use daily for supremely soft feeling skin and an exquisitely glowing appearance. Organic Oryza Sativa (Rice Bran), Organic Rosa Mosqueta (Rosehip Oil), Wild Crafted Rosa Damascena, French Calcium, Sodium Ascorbyl Phosphate, Organic Helichrysum Gymnocephalum, Wild Crafted Santalum Album Oil, Water, Theobromine, Caffeine, Organic Helianthus Annuus (Sunflower) Oil, Organic Vitis Vinifera (Grapeseed) Oil, Wildcrafted Simmondsia Chinensis Oil, Organic Prunus Armeniaca (Apricot) Oil, Organic Arganil Spinosa (Argan) Oil, Organic Ricinus Communis Seed (Castor) Oil, Paraxanthine (derived from Caffeine and ECOCERT approved), 7-Methyl Xanthine (derived from Caffeine and Theobromine and ECOCERT approved), Dehydroacetic Acid (DHA), and Benzyl Alcohol (a Preservative that is Ecocert approved in Europe for organic cosmetics). I recently started looking for an oil that contains Bulgarian rose but isn't too overpowering scent-wise. I took a chance on this Holi (oil), and I am in love with it. My skin is dry and tends to get more dry, sensitive and reactive during the fall/winter months, and I wanted something that was soothing and moisturizing without being greasy. This worked wonderfully.